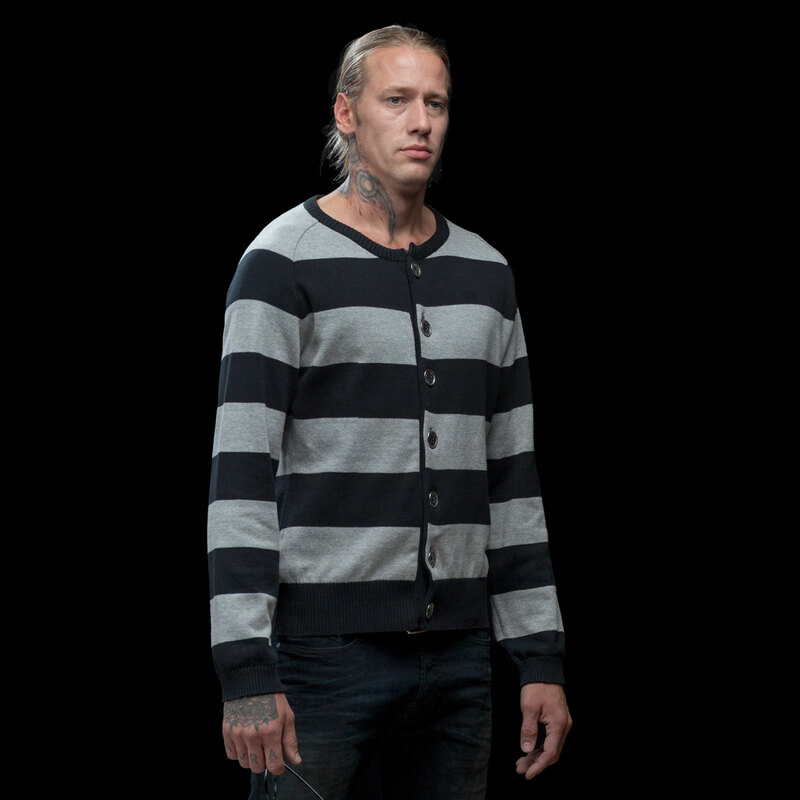 Striped uniforms were common among inmates in 19th century prisons around the world. In some countries the striping was vertical, in others horizontal. 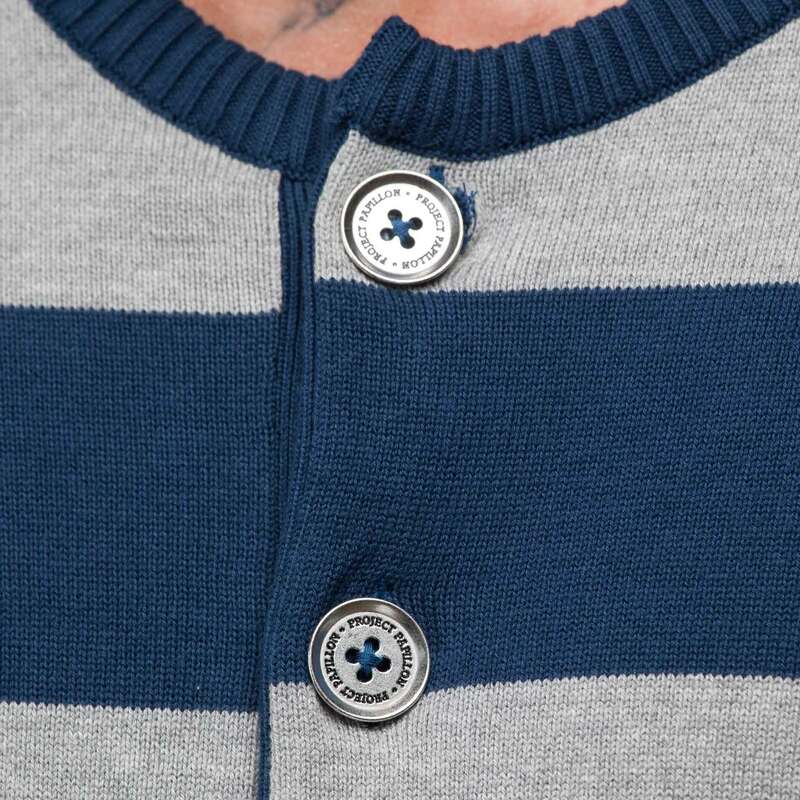 However way the stripes went, the idea of the pattern was to prevent escapes, facilitate recognition and ease the recapture of inmates on the run. 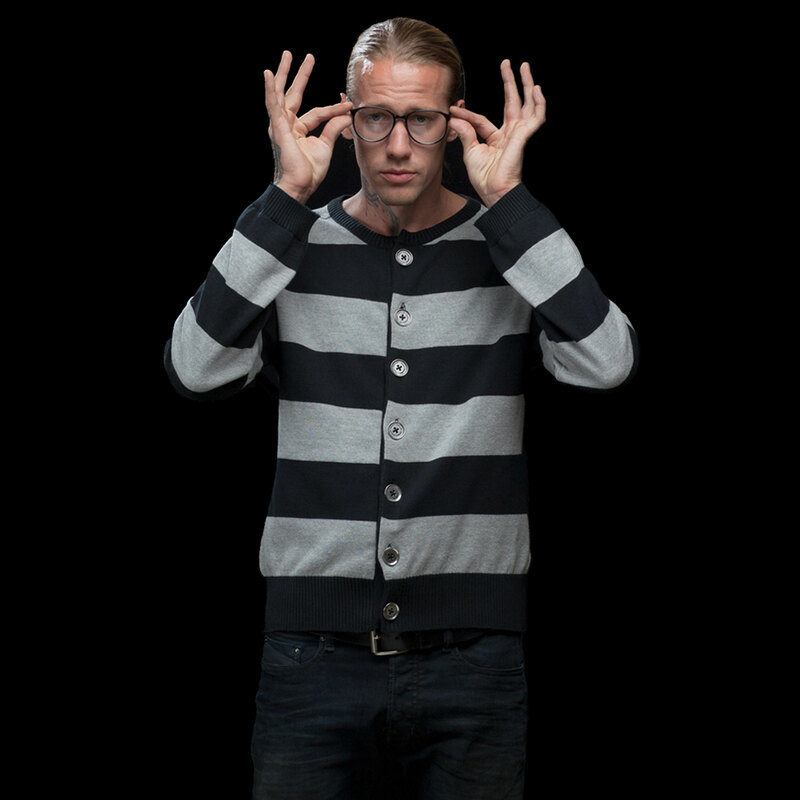 Coming into the 20th century, striped uniforms were seen as a badge of shame that degraded human dignity. They were abandoned. 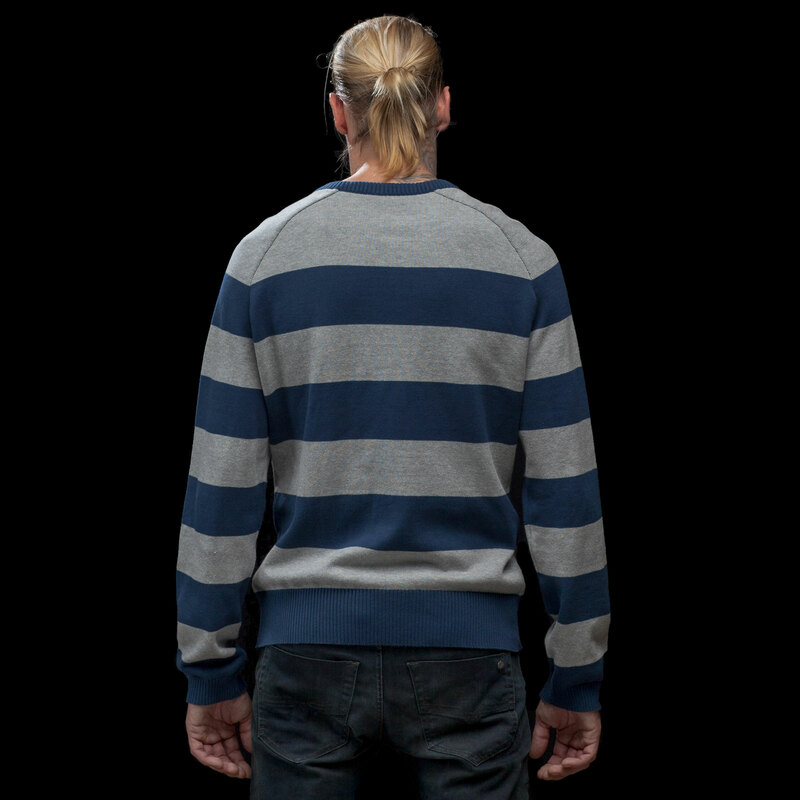 We’ve brought the 19th century thick horizontal bee-stripe classics back as a sweater with simplistic cuts. 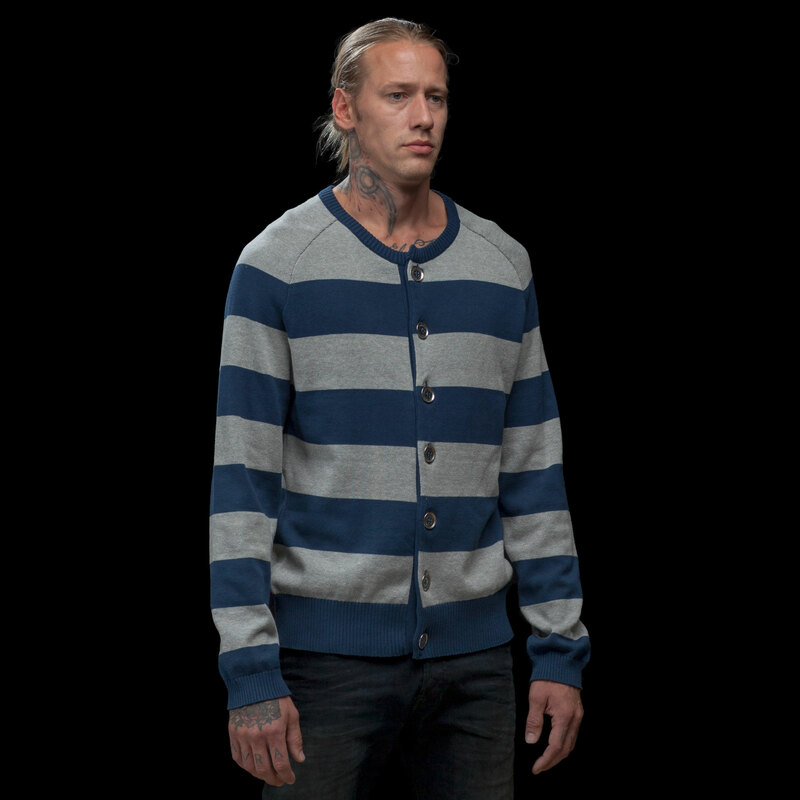 The well-fitting cotton sweater is detailed with over-sized striping and buttons.